Your sewers and drains are vitally important aspects of your homes plumbing network, and when it comes to repairs and installationsof these items, you want to ensure that you are putting your trust in a company that puts in the work to earn and keep it. By bringing you experienced service, an unmatched expertise, and a drive for the best possible service. This goes beyond simply stating the ideals that we bring to your particular project, and moves into the territory of ensuring that your home is safe, effective, and functional. When your plumbing is done properly, it can function for you for years without a second thought as to the state of your sewers and drains, but bad work repeatedly brings you reminders in the form of continual work, and continual problems. We believe that the best solution is to bring you the right job the first time, and though this may lead to less repeated calls, it also leads us to a higher standing in the plumbing community. 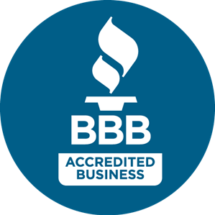 When choosing A Better Plumber as your plumbing company of choice for your sewer and drain treatments, you can be sure that you are putting your trust into a company that works to keep it. That operates on the standard of doing this correctly and allowing the work we provide to speak for itself through reliability and dependability. As a company that brings you both installation and repair, we don’t want to foundation of our company to be based on repeated calls, we want to serve your home or office right the first time. Whether you need assistance with clogs, or cracks, leaks or new installations you can rely on the services we provide to stand the test of time, and to bring you a reliable source of effective flowing water. If you’re looking for a company that is dedicated on doing it right the first time, then we invite you to pick up the phone and calling in today, our knowledgeable and friendly staff are anxious to bring you all the information you seek.